Palmer Engineering provided land surveying and civil engineering services for site improvements to the existing First National Bank Building on West Main Street and the corner of North Upper Street. Palmer provided topographic survey of the existing building site. Palmer also provided design to replace the existing sidewalk around the building and install a drop off area in front of the building. 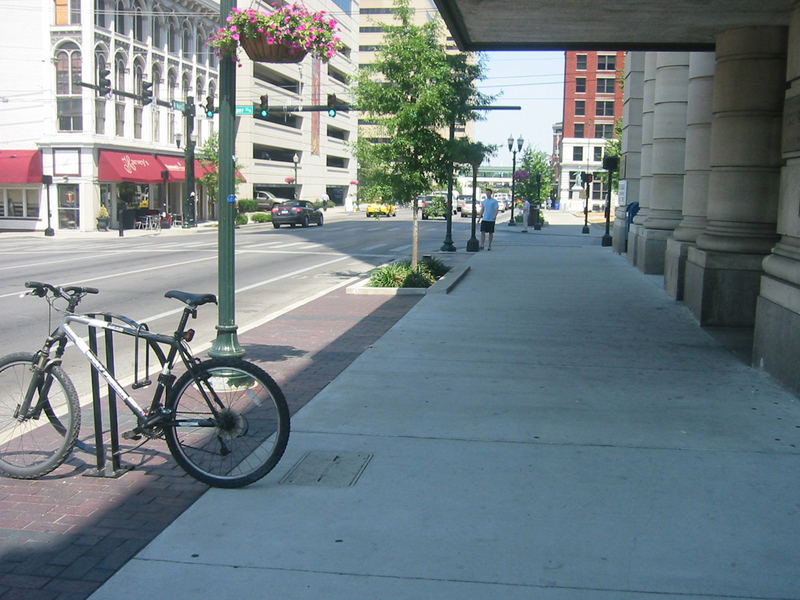 Palmer coordinated utility connections with the mechanical engineer and prepared encroachment permits for sidewalk improvements in the right of way with LFUCG and the Kentucky Transportation Cabinet.